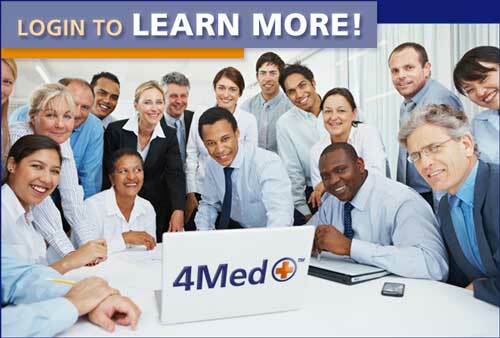 The 4MedProNetwork brings together members of the EHR, HIT, HIM, HIPAA and Compliance professional communities to share insights, find resources, locate referral partners, network and succeed in the healthcare technology industry. VISIT: http://4medpronetwork.com to join FREE today! 4Medapproved group forum for sharing anything HIT related. HITECH Answers group forum sharing anything related the Meaningful Use of certified technology. Tweets about health information technology. Tweets about meaningful use and stage 2. Tweets relating to electronic health records. 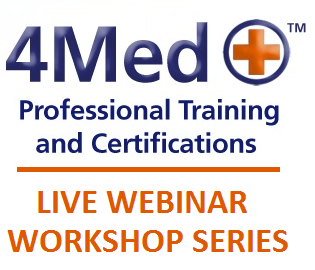 4Medapproved Curriculum - online courses and certifications for health care and IT professionals. 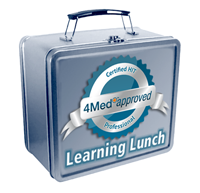 Sponsor a Learning Lunch - HIT vendors, sponsor a 4Medapproved event. Can't find what you are looking for?Live Chat with us NOW! If you are a healthcare professional such as MD, RN, LPN, NP, PA, therapist, or Pharmacist, these communities are for you. From forums and professional associations to specialized media networks, these communities will help you to find answers and connect with your peers. A free online community where health care and health IT professionals share best practices, lessons learned and have discussion about EHR implementation and use. Find the medical or administrative organization or association that fit you and your needs. The National Patient Safety Foundation, improving the safety of patient care provided to patients. Free online media and news sites to keep you informed on what's happening in health IT adoption. Sign up for email digests and alerts. 4Medapproved Content - educational pages focusing on Health IT adoption. 4Medapproved Consulting - find HIT consultants for your project needs. Can't find what you are looking for? Live Chat with us NOW! If you are a healthcare professional of any kind looking to start, transition, or expand your career, these communities are for you. From career consulting and recruiting to job boards, these communities can get you answers on where you are going with your career. Leading Healthcare IT industry job board, Healthcare IT resume database, career certification resources, and Healthcare IT employer directory. Regularly scheduled industry sponsored webcasts focusing on adoption of health information technology (HIT). Monthly Trivia Game -enter and win prizes. If you are a patient and consumer these communities are for you. These communities all have the national initiative on Patient Engagement in the forefront to their mission. A personal health record brought to you by AHIMA and the AHIMA Foundation. A women's health and wellness social community. Making healthcare better for everyone through sharing, support, and research. Read patient stories about how health information technology helped them with their person health. Share your story. The Symptom-to-Provider Pathway - Download this app from iTriage.